"- large format full colour paperback. 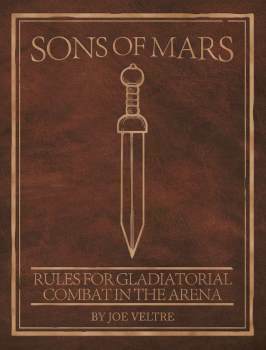 combat system in Sons of Mars aims to take the fighting beyond simple dice rolling and leans toward a more tactical approach. With a combination of 13 different actions and 30+ abilities the players, not the dice gods, will have the most control over how the battles on the sands of the arena unfold."